Amarnath Cave in Jammu & Kashmir is the largest cave in India. 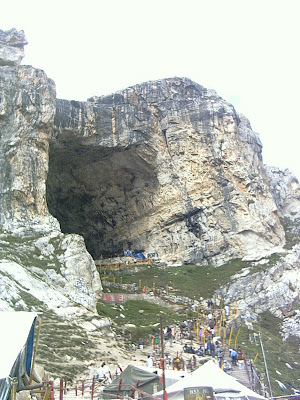 The width of the cave is around 40 yard, its height is about 75 feet; and the cave slopes 80 feet deep down inside the mountain. 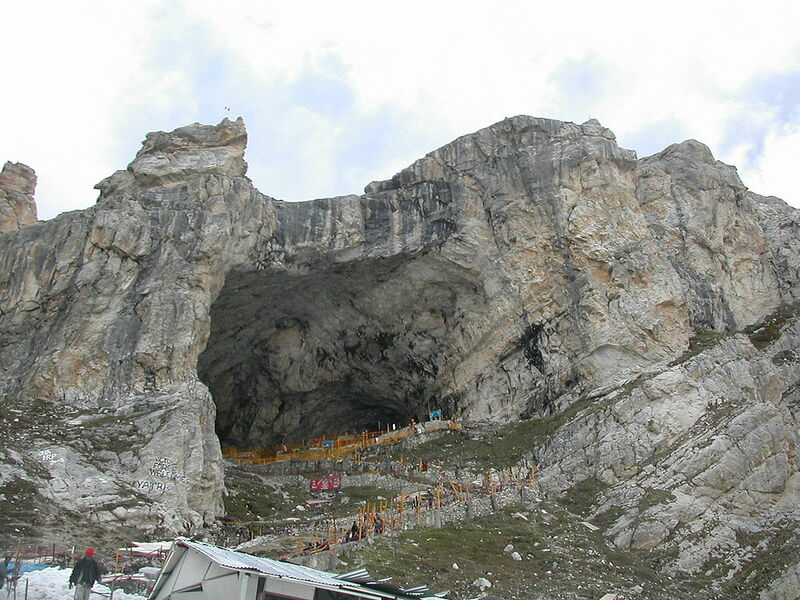 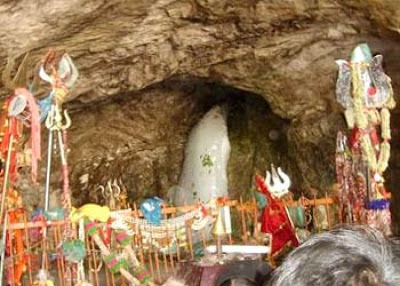 Amarnath Cave is an important pilgrimage shrine for the Hindus. The cave is famous for the image of Shiva, in the form of a lingam that is formed naturally of an ice-stalagmite, and which waxes and wanes with the moon. 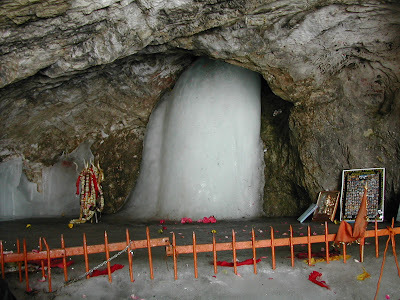 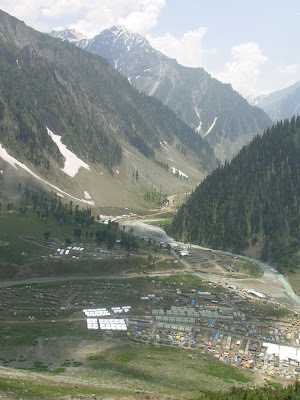 Amarnath Cave is situated at an altitude of 3888m and is 45 km from Pahalgam. 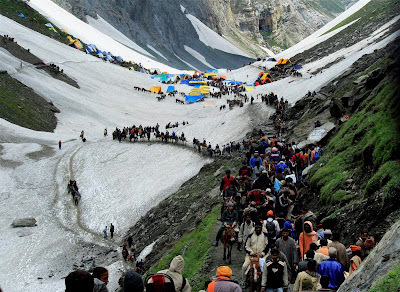 The trek from Pahalgam to Amarnath cave is on an ancient peregrine route. 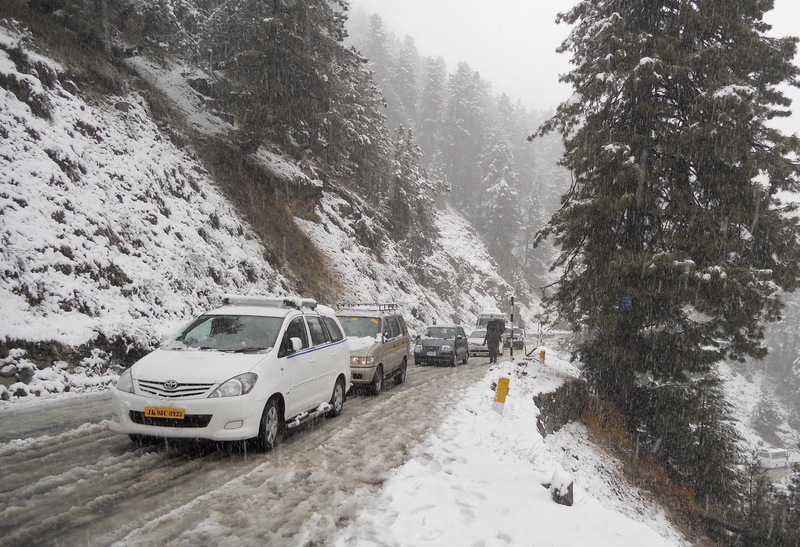 The 45-km distance is covered in four days, with night halts at Chandanwari, Sheshnag and Panchtarni.